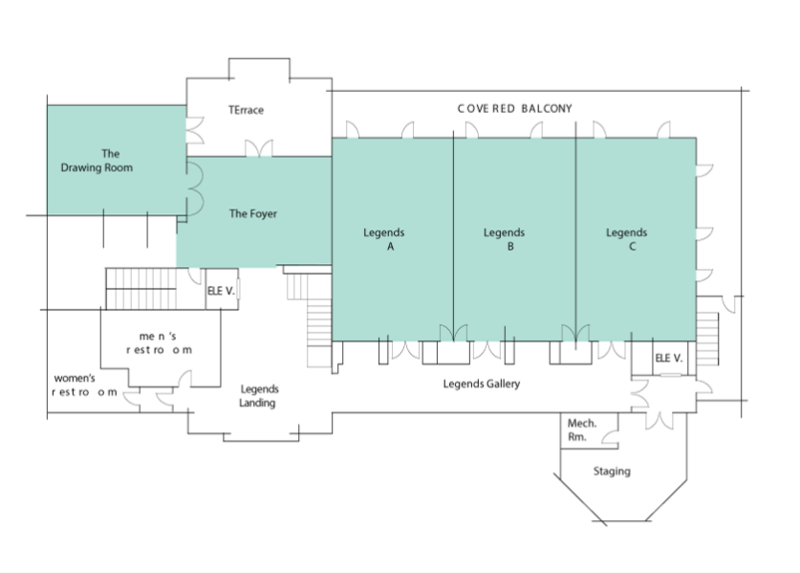 Offering a total of 3,540 square feet of space on the second level of the clubhouse, the Legends Room can be divided into three separate rooms and accommodates up to 380 people. The adjacent covered balcony features views of the Jack Nicklaus-designed golf course. Also featuring golf course views from the second level of the clubhouse, The Drawing Room features 810 square feet of space and accommodates up to 98 people.